Deloitte has unveiled its first Bitcoin ATM in its Toronto office in Canada – as it looks to promote cryptocurrency technology. 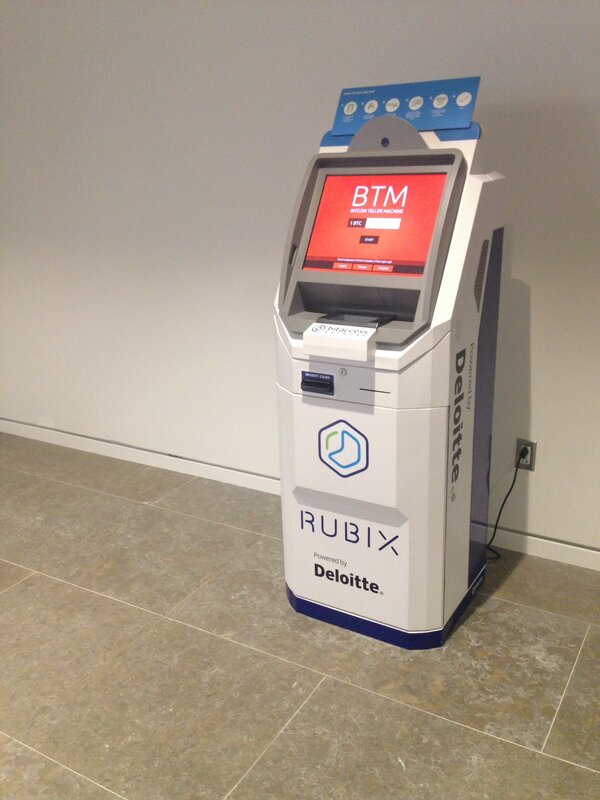 The Toronto office, home to its Rubix blockchain division, initially offered the bitcoin ATM to employees only. But this was quickly followed by a public launch. Deloitte’s Rubix strategy director, Iliana Oris Valiente, says the machine is an “important milestone” and a “move to improve accessibility and hands-on learning as [a] first step toward greater blockchain adoption”. Canadian firm Bitaccess made the Bitcoin transaction machine, which can exchange digital currency for up to 1,000 bills in local dollars and several other currencies. According to Coin ATM Radar, there are 110 Bitcoin ATMs in Canada and more than 30 across the UK. Deloitte has been active in the lively blockchain / distributed ledger technology (DLT) space. Deloitte Luxembourg developed a proof of concept for regulatory transaction reporting in a DLT environment. Deloitte is pioneering an integration project combining Ripple’s version of the blockchain protocol and Temenos’ core banking software for direct bank-to-bank settlements in real time. Deloitte UK’s blockchain team also launched a “smart identity” prototype at the Consensus blockchain conference in New York. The solution will allow users to create a universal digital identity powered by blockchain.